Brisbane's Best Florists, Shop Online Today! A desirable, luxurious and luscious compact hessian tote arrangement, filled with the most stunning deep purple and mauve toned seasonal blooms, with a touch of pink for a pop of colour. 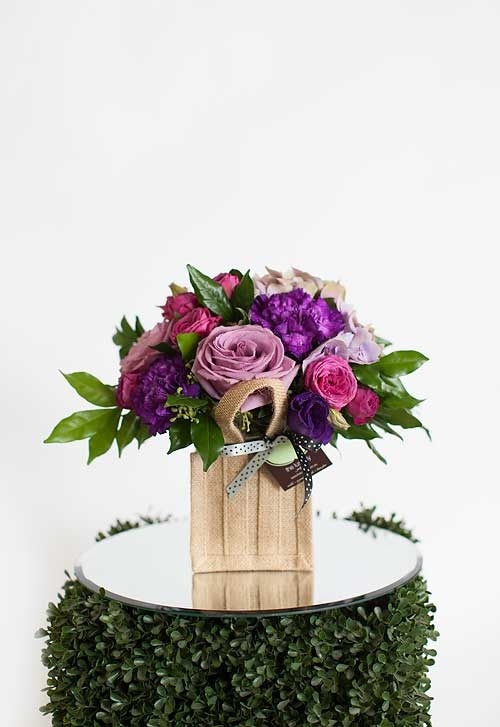 Arranged by our designer florists, Mauve Lust is available in two sizes. For specials and giveaways sign-up to our newsletter.